Long-time readers may remember The Underwear Project in 2011, which involved trying every major producer of luxury men’s underwear to see which I preferred. Recently, however, I needed to replenish my supply and balked slightly at Zimmerli's prices, which are now mostly over €70 a pair. I therefore tried out three other brands – Sunspel, TM Lewin and Hamilton & Hare – looking for an alternative. Longevity. Probably the most important aspect of quality for most guys. They should wash and wear well without pilling, losing shape, discolouring or coming unstitched. Luxury. Must have a luxurious feel, which could come from a fine pure cotton, another natural material, or a mix with only a small amount of stretch synthetic. Fit. I wear boxer briefs/trunks, and they must fit well enough to be entirely forgotten about the whole day, never riding up the leg or requiring any other surreptitious adjustment. An issue for someone with a fairly small waist and big bum. Simple. Minimal branding, one colour, certainly no loud multi-coloured waistband. Mid-grey melange. More flattering than black, lasting better than white, and as I learned in the first Project, unfortunately about 20% more expensive as raw material. I included TM Lewin in the list – which I’m sure will surprise some readers – because a friend swears by them. Said they’re cheap and feel as good as any designer brand. 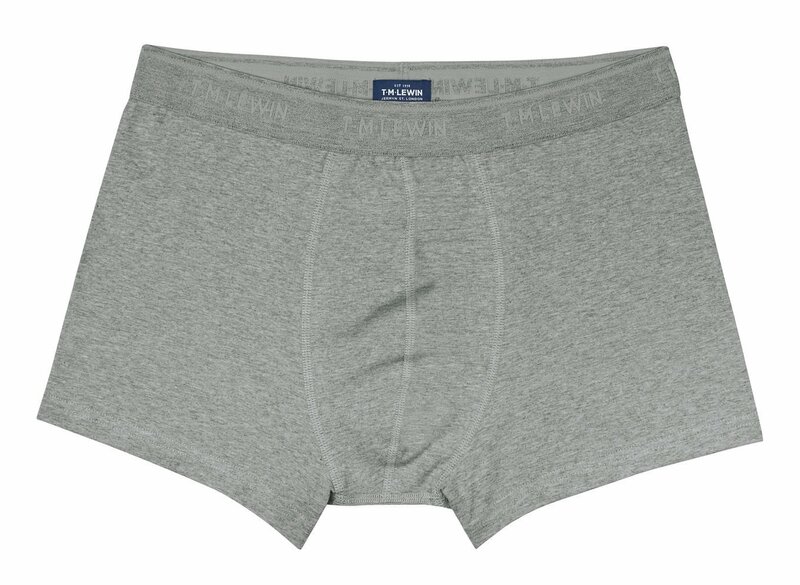 TM Lewin does do a grey-marl boxer brief for £14 (above), with only subtle branding on the waistband. It did fit well, and feel nice. But it didn’t last. Compared to the others, the material started to pill and otherwise deteriorate after about 10 washes. Next, Sunspel. They do two stretch-cotton grey-melange trunks, in a long and short leg, for £28 (above). They were good. Solid. Felt really nice, the long leg fit particularly well, and there’s no branding. They held up very well too, as well as the eventual winner, from Hamilton & Hare. I’d recommend them both. The reason I ended up going with Hamiton & Hare (above) was mostly the material. 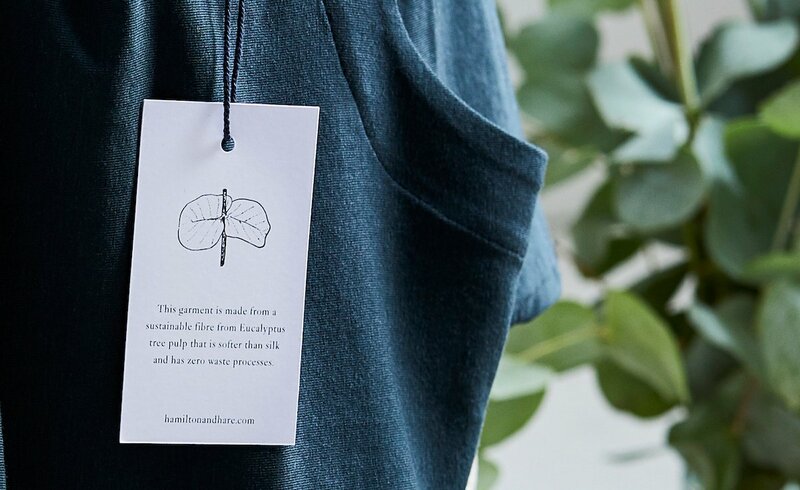 A new range they launched last year is made from Lyocell – the cellulose material made from Eucalyptus tree pulp. It’s similar to other natural alternatives like bamboo and modal, but has zero waste processes, requires no chemicals or pesticides, and uses 20 times less water than cotton. I confess these environmental benefits were of only secondary importance though. Mostly I was taken with the feel, which is similar to fine cotton but softer and silkier - fine yet robust. 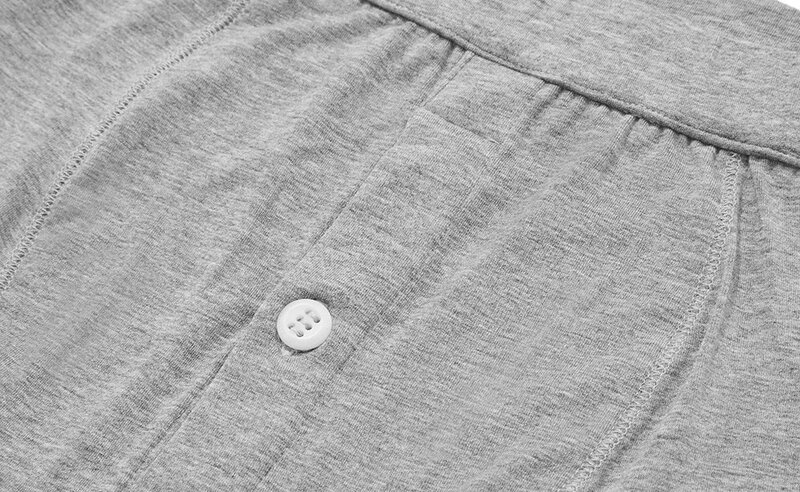 There is a pair in grey melange (above) for £35 in a mix of 64% Tencel (lyocell brand), 32% cotton and 4% elastane. These performed really well. They breathed well, fit well, and have lasted well. Hamilton & Hare are keen on a few other design points too, such as having the waistband covered in the fabric, rather than just being elastane. I haven’t noticed a difference in comfort here, but others might. The label is also on the outside at the back, again to increase comfort. Personally I’d prefer something printed on the inside, so the outside is free of all branding, but it’s a small point. I also tried H&H’s tubular underwear, which should be comfortable in the same way as T-shirts made in the same manner, removing the seams. But I found they were too flimsy for me, and rode up. So a five-pack of the grey melange lyocell it was. At £155 for the pack, it’s still £31 a pair, which isn’t cheap. But it’s a lot less than Zimmerli. You can follow the discussion on My new favourite underwear: Hamilton & Hare lyocell by entering your email address in the box below. You will then receive an email every time a new comment is added. These will also contain a link to a page where you can stop the alerts, and remove all of your related data from the site. Interesting post, Simon – I have just gone over to H&H after trying out some other makes. Previously made mistakes in buying underwear – poor fit, badly out of shape after a few washes etc but the H&H are excellent. Very comfortable fit. In terms of value they are slightly pricey but not when compared to the horrendous designer brands with the dreadful waistbands. Interesting post Simon, however how would you compare it against zimmerli? Not the same level as Zimmerli – as I mentioned at the top of the post. But Zimmerli is just too expensive for me now. I purchase my shorts at Emma Willis, which at 60 GBP per, is not cheap. However, the cloth-lined waistband adds to their comfort and they last. Linen shorts are my favorite, although they do loose some shape w wrinkles. I concur. H &H have been my go to for years now. Little complaints from me there. Bearing in mind that they will inevitably end up with skidmarks and yellow stains in them one might as well go for cheap and cheerful M&S @ £25 for five pairs. Hahaha. A little bit more information than we need. This being , toilet paper works wonders when used properly. Wash at max 3 degrees cel.!? That is certainly not what the experts in hygiene recommend for underwear, but rather 60 degrees. Their recommendation to wash at 30 is what puts me off trying them. Good article. I have also been buying Zimmerli for years (based on your recommendation) but find them too expensive and maybe not that flattering. I am now trying a Swedish brand, CDLP, that is also using lyocell. I dont know if you have tried them. They seems very good but I havent washed them that many times yet. I haven’t tried CDLP Carl no, thanks for the tip. CDLP has been very successful in making a big buzz in the media. I’ve never tried them but they’re on my list. If someone has, please share the experience. I have a few pairs that I’ve used for around a year now. I own 1 pair with regular legs and 3 with shorter legs. Both works very well and I barely notice I am wearing them during the day. Compared to my underwear made in cotton CDLP feels much fresher at the end of the day. I am washing them in 60c and haven’t noticed any degradation, for now. I can also confirm the above, CDLP’s lyocell boxer trunks are my favorite after having tried many other brands, the feel is phenomenal (and also more luxurious than any cotton variety I’ve tried) and I’ve had mine for about a year now. Apart from the inside label washing off I did not notice and deterioration in stitching, fit, or feel. Price is great as well. What temperature do you launder you knickers at? I use minimum 60c (which is what is recommended for underwear as anything colder doesn’t kill the bacteria, ideally one should was at 75c I suppose). I assume this would affect the durability of these pants quite a bit? Have you tried H&M’s btw? Cheap and cheerful and last surprisingly long even at 60c cycles. Normally at 40c, never had any issues. No, I haven’t tried H&M. Perhaps it could be an idea to do a piece on how to weigh different arguments for washing temperatures – hygiene vs longevity vs sustainability? We’re urged more and more to wash at lower temperatures, and allegedly detergents have gotten more effective, but it would be interesting to have a scientifically informed, sartorially inclined overview of the different pros and cons. For a few years now I have stopped using the dryer to dry my underwear to try and make them last longer. What are your opinions on using the dryer? I am thinking of going back as I constantly have underwear on the drying rail. I’m not sure that Simon wears knickers. Well, each to his own. Interesting. Will have to check out. I’ve been a Derek Rose fan for both PJ’s and trunk style underwear like those reviewed for a while. Love them and similar prices. Worth checking out. Sunspel underwear and tee shirts are superb. They fit well, hold their shape, and are very durable with no branding on the underwear, highly recommended. In fact, Sunspel is just a fantastic company in general, making excellent,functional products. Similar to Carl, I have also started using CDLP satisfactorily thus far. I have also been curious to try The White Briefs organic cotton. The choice in this area of menswear is, fortunately, very wide. As with many readers many brands have been tried but the one that, for me, offers the best fit, lasts through many washes and remains reasonably priced is Sloggi. A brand of the Swiss based Co. Triumph (est. 1886) the quality of cotton is high and remains comfortable for a long time. My pick from the range is the midi (£23 for 2 x pack). What is the rise like on those pairs of underwear? I often struggle with the back rise on aftermarket underwear as I also have a full seat. I found a Tommy Hilfiger Modal/Cotton a couple of years ago in a good mid-rise cut with a high back rise but it is no longer on offer. They’re pretty much all the same, definitely a mid-rise I’m afraid. Simon, have you ever tried anything from Cagi, Perofil, Schiesser or Bresciani? All make wonderful underwear — including t-shirts, singlets and long thermals — for comparable prices. Might be worth you trying out. I’ve tried Schiesser and Bresciani. I love Schiesser thermals and the fine Bresciani T-shirts, though the Bresciani underwear was a little odd, having no stretch at all. Thanks on the other two. Bresciani makes my favorite socks so, the underwear is certainly worth a look. Would commend looking at merino underwear as well. Soft, wears well, resists odor. Mostly marketed in athletic clothes here in the states, but are now my favorites. A company called ridge merino makes a pair that is a merino-Tencel blend. Quite affordable too, relatively speaking. I see potential for a Permanent Style spinoff: Prominent Seat. SAXX. Their slogan „life changing underwear“ is maybe a slight exaggeration, but their unique design makes them so much more comfortable than anything else I ever tried. I see no mention of Derek Rose underwear? 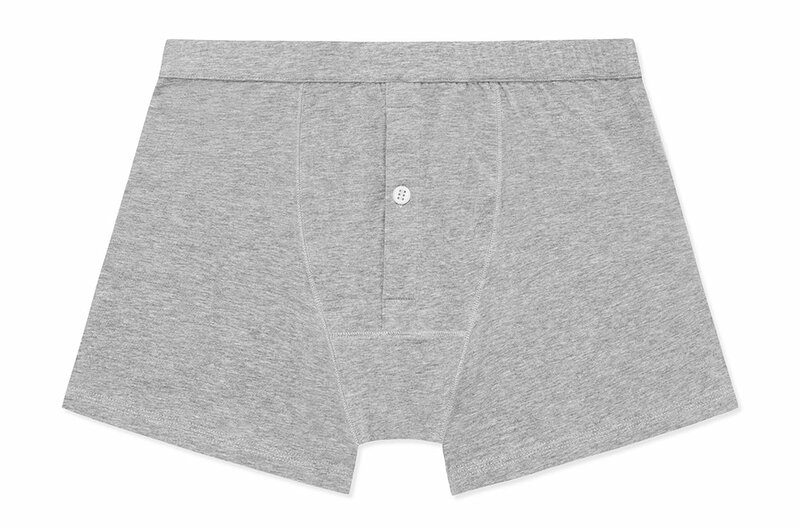 I personally use Sunspel briefs as they are 100% cotton and extremely comfortable. They last long and, at £25 per pair good value although even at this cost, i feel it is expensive. For cotton boxer shorts, the value of Uniqlo boxers cannot be beat. Long-lasting, 100% cotton, with back seam, in oxfords and striped broadcloth. Get them for under $5/pair on sale. On a separate note, does anyone know where to find quality silk long underwear? It used to be possible to purchase silk long johns of adequate thickness; now from the few places that offer them they are so sheer and get runs like pantyhose in no time. I will try H&H based on this, but I’d still put in an argument for Zimmerli despite the price. First they are virtually indestructible and barely deteriorate. I’ve only had one pair last for less than five years, which is astonishing for underwear. 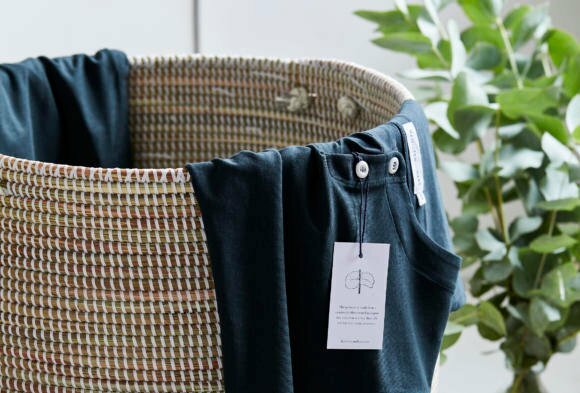 They resist odour brilliantly — the same pair of Zimmerli briefs works for a twenty-five kilometre Alpine hike and a board meeting two days later, with just a quick soak and handwash in a hotel sink. No other brand I’ve ever tried has that versatility. Yes, the price is eye-wateringly high. But they are sometimes discounted in the annual sales and if one stocks up then at ca. 55 euro/pair, the quality still seems worth it. I swear by filoscozia underwear from Italy. A vast source of quality garments, seemingly untapped by the menswear community. Recently sampled pieces from most of the popular producers of this stuff. Garda provide the best value for money, is my conclusion. Briefs can be had for around £5 and undershirts around £11. Compared to conventional ‘luxury’ underwear, I have tried Sunspel before, for instance, and filoscozia is leaps and bounds ahead at a fraction of the cost. Zegna do some nice underwear. I paid £36.00 for a pair in (I think) 100% cotton made in Italy. I’m also eager to try La Perla men’s underwear. Of course there is old school (from my teen days) Calvin Klein underwear although I don’t normally buy them anymore unless they are on offer at CostCo. I recently bought Falke boxers and Prada briefs. Prada are a little weird in the fit, I’m yet to wear the Falke boxers. Have you heard of BN3TH? The most comfortable underwear I have found. They used to have a line made with Icefil, which I think are the best, if you can still find them through resellers. Otherwise their top of the line is The Pro 2.0. Definitely worth a try. 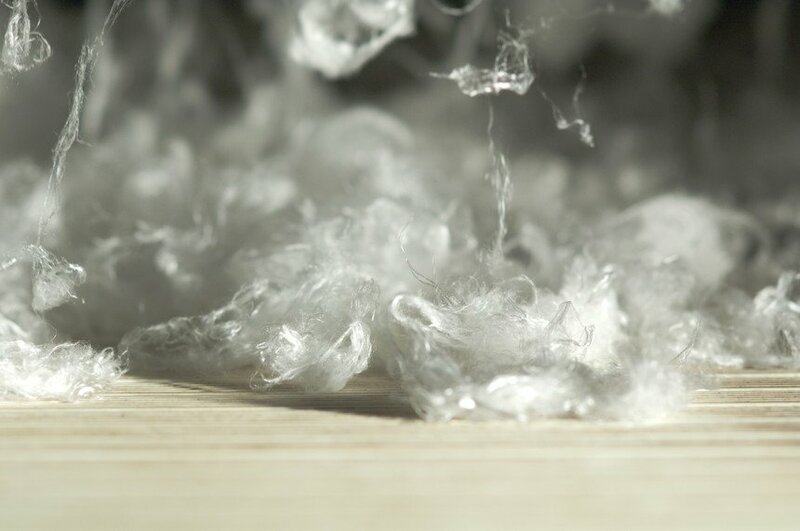 Being a cyclist, my experience with man-made fibers derived from cellulose, like Lycocell, Tencel or Modal was quite disappointing. Boxer briefs with 5% Elastane and 95% Lycocell tended to fray after approx. 15 wears, whereas blends with 55% of Lycocell/Modal and some Cotton lasted better but were still inferior regarding the longevity to cotton with 5% Elastane. I have noticed that “manufactured” or even synthetic fabrics have come forward leagues in their development for comfort, breath-ability, and odor retention. Years ago, it would be 100% cotton only that could provide a comfortable wearing. These days, except in rare cases, I find cotton is lagging in performance. The new micro fibres have one by one tackled the issues listed earlier, and have conquered them…. I am finding that many dress shirt manufacturers are using some of these new synthetics…..Simon, do you have any opinion on these? Is this a growing segment? I believe a couple years ago, you touched upon the new blends for use in suits…. 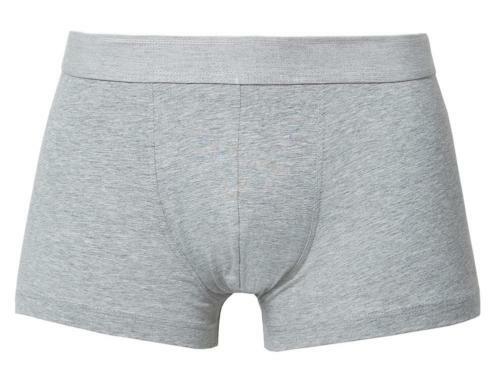 I will certainly try some H&H boxer briefs, having read this informative piece. For the last few years I’ve been wearing Derek Rose. They are very comfortable – they pass the “don’t know you’re wearing them” test. Discreet branding. Hold up very well after hundreds of washes. Good range of colours/patterns, from plain vanilla to quite ornamental. I have tried Derek Rose, Sunspel, Hanro and others. They are all nice, with great fabrics. However, none of them fit me well. I exercise a lot and have a prominent rear, which is not accounted for in these cuts and leaves too little room up front as well as in the back. Does anyone have a recommendation for a brand that is high quality but is also a lifter’s cut?